Buy The Unabomber’s Montana Homestead! For the low, low price of $69,500, you can own a piece of American history. Granted, it’s not a positive piece of American history, but it’s historic nonetheless. The land for sale is Ted “The Unabomber” Kaczynski’s 1.4 acres of remote Montana land, where he lived in a one-room cabin while conducting his reign of terror as one of the most notorious terrorists of his time. “This is a one of a kind property and is obviously very secluded,” says the real estate listing from Lincoln, Montana’s John Pistelak Realty, who are selling the property. The current owner is unknown. 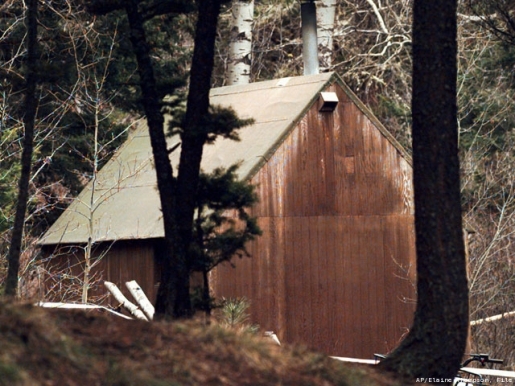 For those of you who’d buy the land and live in the Unabomber’s old shack, put the checkbook down. The price tag gets you the land only; the cabin and all of the Unabomber’s personal effects have long since been removed and sent to the Newseum in Washington, D.C. Still, the plot of land does come with a chain link fence, and a tree in which the initials FBI have been carved (for whatever reason and by whatever party might be responsible). It can’t be too hard to build a shack of your very own.